Autumn has finally hit and I couldn't be more excited, it is my favourite time of year, I have been involved in so many Twitter chats the last few weeks and I can tell I am not the only one. I love the colours, the smells and I love the weather. 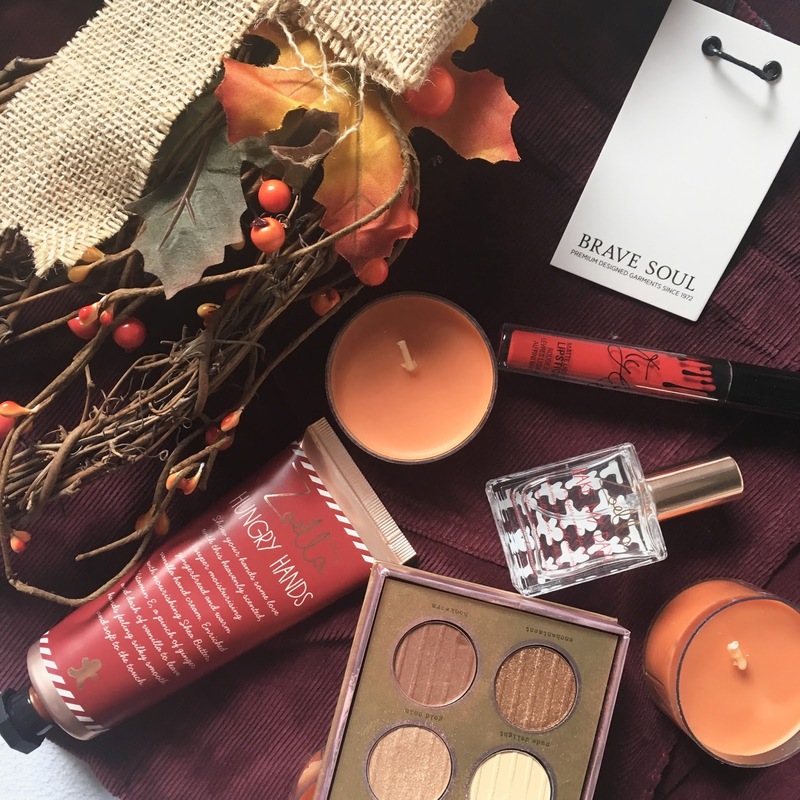 I have been waiting for this post for such a long time so as Autumn is finally here I thought I would share my Autumn Essentials. Decorations are key, I haven't really decorated for Autumn before as I always wait for Christmas, however, when I popped into Homesense and seen all the Autumn range it was too much. I think I could have bought the whole shop but I went for this simple Pumpkin shaped wreath. I thought it was very pretty and just enough 'Autumness' without going overboard. I also headed to the candle section and died of excitement when I saw they had Pumpkin Spiced candles! *heart eye emoji*. They smell like what they say on the box, Give me Pumpkin spiced anything and I will be happy. ;) I have also been loving burning 'Strawberry Shortcake' by Yankee Candles. They have some of the best candles. Not only have you got to decorate your room you have to 'decorate' yourself, outfits are key!!! I want to do the full post on my Autumn outfits but for now, I am in love with this burgundy Brave Soul Cord Pinafore! I bought this from Asos, and I think it will go perfectly with Chelsea boots. The colour just screams Autumn! I also have to mention Zoe's Gingerbread Christmas collection, this will 1000% be my staple this Autumn. The body mist, obviously to make me smell like a walking gingerbread (wo)men and the hand cream to help tame my dry hands. Make-up this time of the year is all about the gold smokey eyes and the red lips, It is probably my favourite season. For eyes I think Tanya Burr's 'Hollywood' Palette' has the perfect shades, 'Gold Coin' is my favourite and will be the perfect addition to my everyday routine. I also will be using my Nars eyeshadow sticks that I mentioned in my August favourites!!! I then thought it was a perfect time to introduce the new addition to the Kylie Fam 'Mary Jo K'. This colour is going to be a hit this Autumn. As you know I love Kylie's formula and have been needing a red so this is perfect. Red lips are great for this time of the year, it goes with any look. I am 100% going to try to pull off the red lips!!! Hot drinks are also 100% essential, I have been loving going down to Costa on my lunch and getting Chai and Gingerbread Lattes. They remind me so much of this time of year and put me in such a good mood! I also have been loving taking my green tea into work with me with my Zoella Travel Mug! It so pretty and so handy!!!! Last but not least nail colour, I can never have bare nails so it is time to bring out the darker colours. One of them being Essie 'Bahama mama'. I got this in a set for my Christmas last year and absolutely love it, it is a warm deep plum. (please don't judge my chip:(! ) I am sure you will see more colours as time goes on. I am obviously so excited that it is Autumn and have a few ideas to post, so keep an eye out! Let me know what your essentials are? 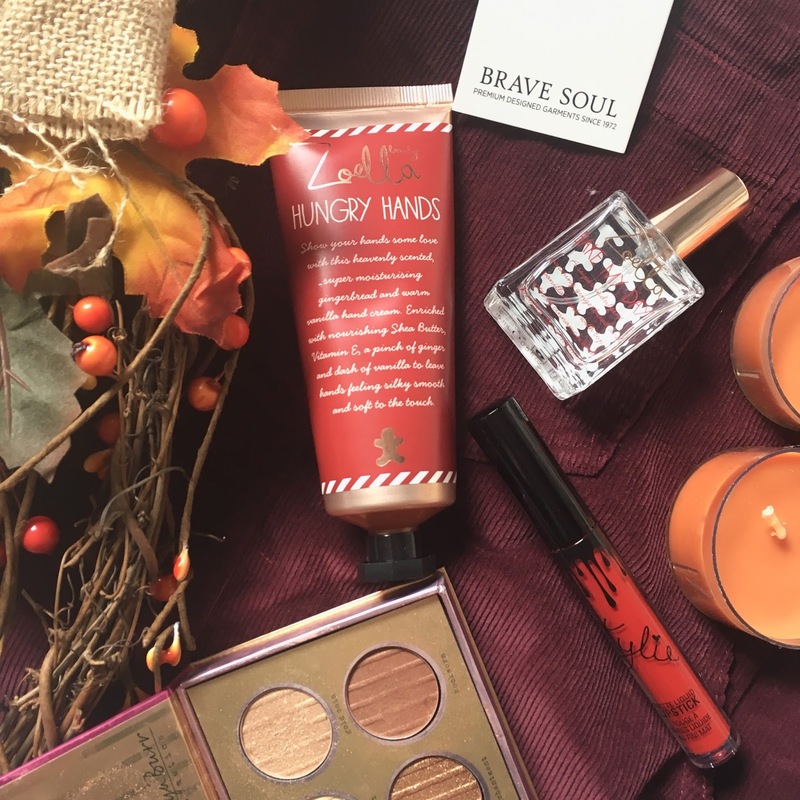 What do you love the most about Autumn?? Would love to see a outfit post? I love homesense, my mum has went all out! Great essentials! This post has put me in the most wonderful Autumnal mood. I agree with everything you said, I've never really dressed the house up for Autumn either as I usually wait for Christmas but this year I'm feeling the Autumnal deco! I've literally just bought some candles this afternoon, not Yankee ones or any fancy ones from home sense but just some cheap bath and bodywork dupe ones so I'm hoping it will will the rooms with a nice Autumnal scent. I can't wait to treat myself to some Yankee Christmas ones though can you?! I really want to try Zoella's new products, beauty and lifestyle as well! Definitely wearing autumn polish, burgundies and metallics are just YES. I am in love with this post and the photography, it's all Autumny and cosy! Hot drinks are a definite essential this time of year, I am definitely drowning in all of the PSL's and tea! Love your photography! I'm so excited for Autumn this year and I would love to try out Zoe's gingerbread range! Great post! Will have to try some of these! Lovely post! I love all of your photos- hand cream is a must for me this time of year! Yankee candles are HEAVENLY! 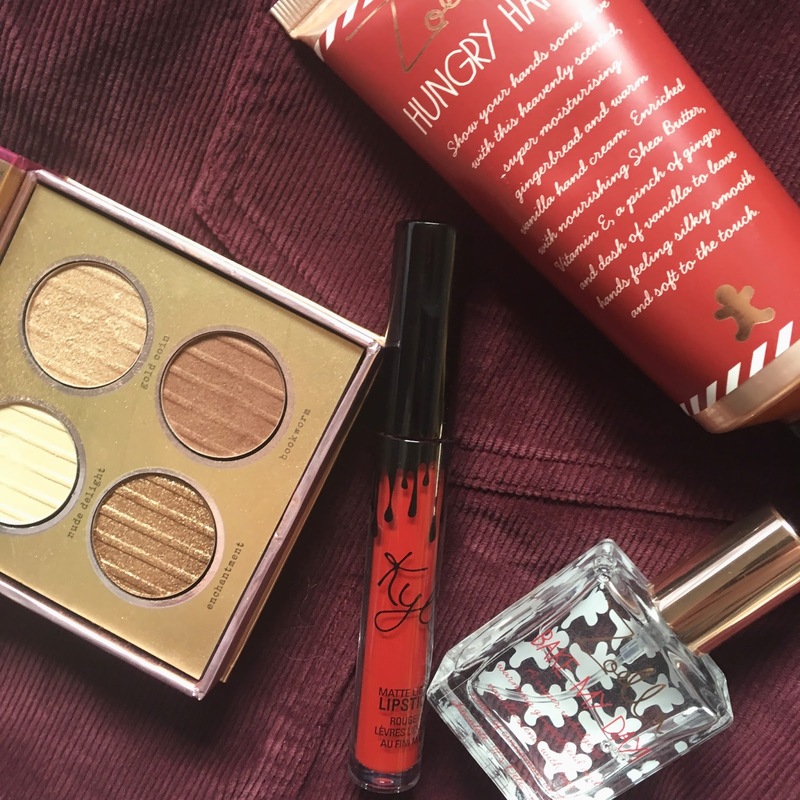 I really recommend "cosy by the fire", got it last week and it is an absolute winner in the evenings :) I am tempted by another kylie lip kit, but the last one ran out so quickly?! Brave soul is brilliant - we sell it at work (Joy) as a concession brand and they are nailing the autumn look!